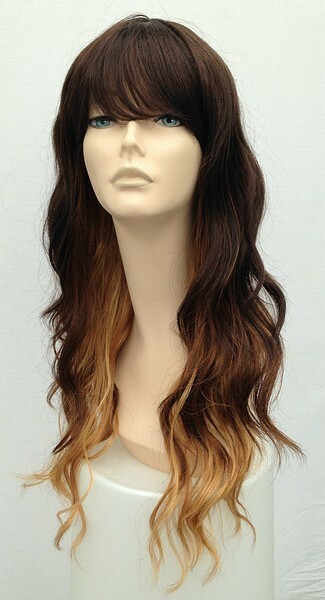 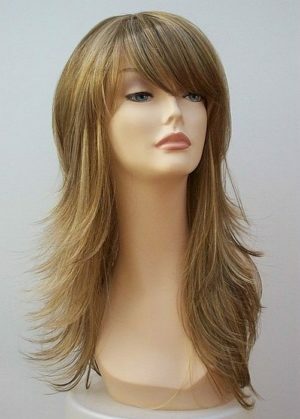 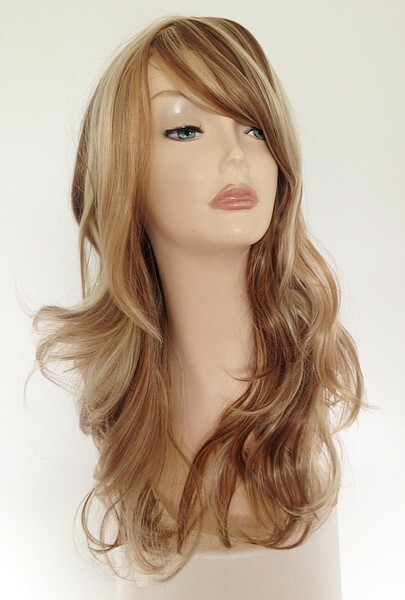 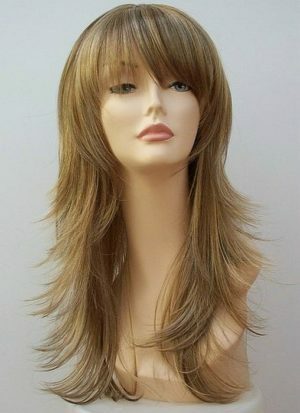 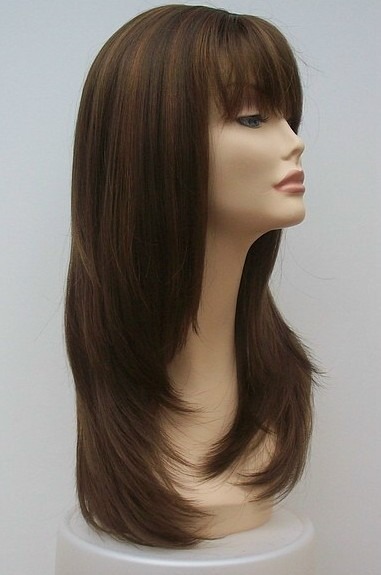 A beautifully styled ladies longer length wig with soft curls and fringe detail. 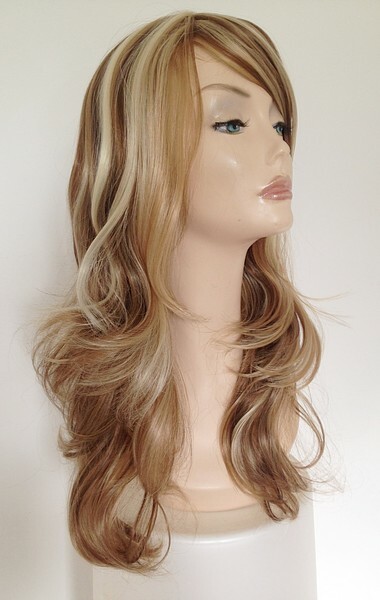 Made with soft quality synthetic fibre and finished in a combination of blonde shades. 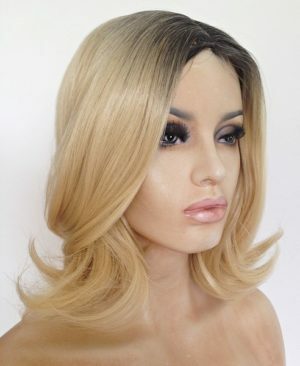 Enjoy a new look with this modern ladies fashion wig, pre-styled for ease of use, these wigs are also washable so can be used time and again. 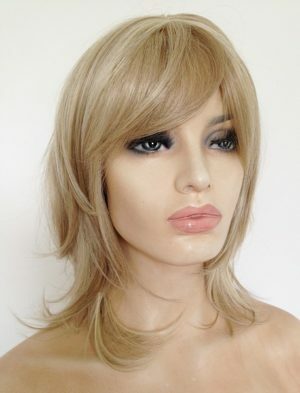 Whatever your reason for purchasing a wig we are sure here at Wig Store UK you will find one to suit your perfectly. 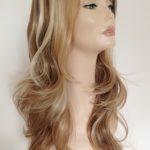 Our discreet packing means that no-one will know the contents of your parcel from us, we never advertise our name and the outer packaging of our products to ensure your purchase from us is private. 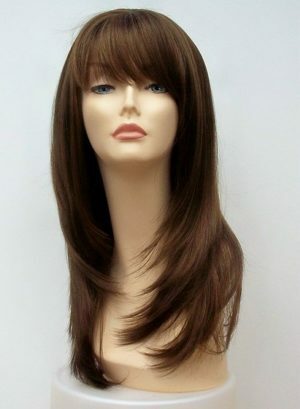 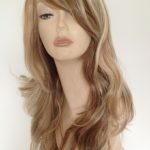 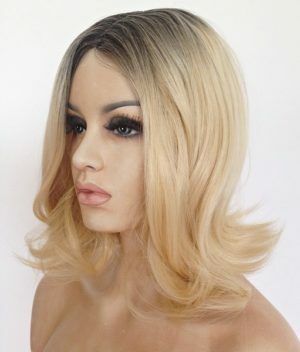 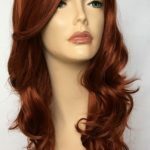 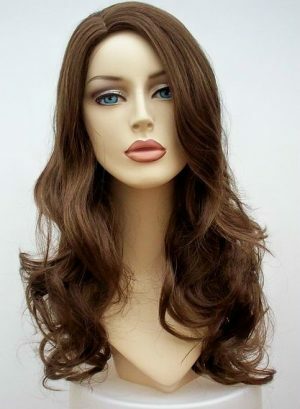 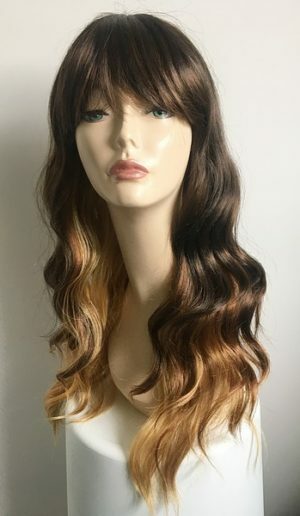 Our modern range of ladies fashion wigs fit the vast majority of people (both male and female,) we pride ourselves on our first class customer service, we want you to be happy with your purchase from us. 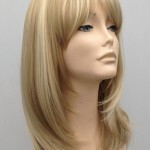 The Wig Store UK team are just an email away should you require any further information on any of our wigs. 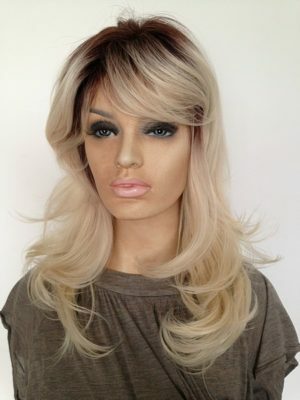 Boost your self confidence, have a change of image or simply try something new by wearing a fabulous wig. 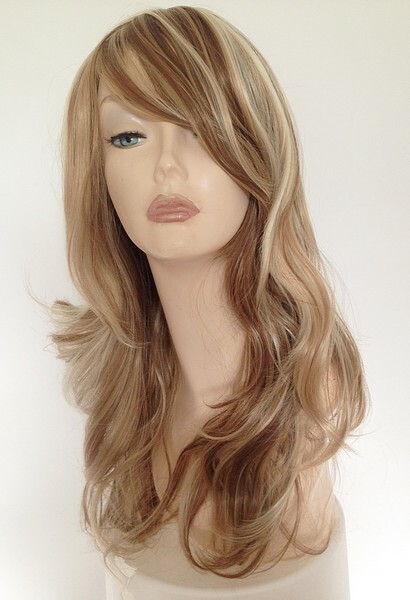 Don’t forget to follow us on Twitter, Instagram and Facebook to keep updated with our offers and new wig styles.